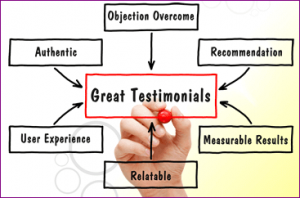 I want to talk about how to manage the greatest Marketing Opportunity in marketing history, Marketing your online presence with search marketing tactics. In the last two videos I’ve been talking about what every small business owner must know before they begin to build an effective online presence to get more leads, Sales and higher Profits. And we talked about The Road to A Sale and how your online buyer searches online like they used to use the Yellow Pages. It’s search marketing, it’s not intrusive marketing like TV, newspapers, radio, advertising. This is like the Yellow Pages where they’re searching. So, they’re coming online searching to buy and I talked about how you have to answer every question your customer has, every doubt, fear, concern and I talked about the psychology of your buyer like having a set of scales that had “Fear of Loss on one side and “Hope for Gain” on the other side and the goal was to answer their concerns to where “Hope for Gain” outweighed the “Fear of Loss” so that your buyer became predisposed to buying from you in preference to your competitors, plus, you build trust and relationship with them via testimonies, endorsements, before and after shots, in other words, proof of what you’re claiming you can deliver. 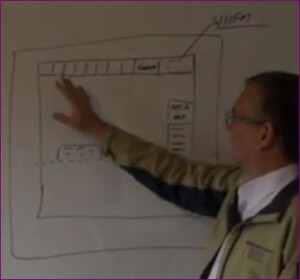 And then I talked about what the website was, on how to design a good website, how there was a fold line that you needed to make sure, there was partial information that showed — there was text or images there so that it showed that there was more information that they had to scroll down to read. On the homepage you needed to have an opt-in box to collect email addresses and names for them and also posting up on a weekly basis. a 400-600 word article once a week, giving them useful information about your products or services. how to set your mast up on your web site with clickable email address and clickable phone number, Google Maps if you’re local and then succinct, clear headings. And the page I talked about WIIFM, what’s in it for me? So in WIIFM you had 5 to 7 seconds, some say less but let’s work on 5 to 7 seconds to capture their attention. So, you need good headlines, good information, good content in there. In this video, what I want to talk about is how Google works and I want to put it in a non-techie speak. What I want to talk about is the big G, or big brother because he really is becoming big brother. But let’s face it, over 90% or I think something like 95% of Australians use Google now as their search engine, so we need to work with them as a business owner with your online presence or as a digital marketing agency, we need to work with them, not against them. This is how it works in very simple terms, how to get on the front page of Google and you really need to be in the first two or three results. It’s been proven that most people don’t go past the first page and most people don’t even go past the top 5 on that first page. In your industry you need to be on the front page with the relevant keywords and what I mean by the keywords is the key words or terms that buyers are typing into to Google for your products or services. For example, “Real Estate Melbourne,” “House for Sale Bairnsdale,” Home for Sale-Your City,” or whatever the main keywords that are being typed in for your industry, products or services, you need to know them. To find out what they are, Google has a tool called “Keyword Planner,” it’s free, it’s relatively simple to use once you understand how it works and you can go in there and start searching on the terms and what people are searching for. So, let’s assume that you’ve done all that, you’ve got your online presence built, you’ve got the website fully optimized which means that keywords on your website and your content matches up with what the buyers are looking for. You’ve got all your social media buttons and everything else all linked to your website, and don’t forget that it’s important to understand that your website is your virtual shop front, It’s not a brochure, it’s your online shop front. In the physical world you may have a normal shop front and with traditional advertising or marketing campaigns you might put an ad in Yellow Pages, or place an ad in the local newspaper, trade magazines or do a TV ad, all of these are different ways of traditional marketing and all of these are meant to drive business to your existing shop front, warehouse, whatever it may be. That was the purpose of them. So, if you have that as a picture in your mind, this will help to make sense on how Google works. So, this is what happens — and I’m not quite sure where I’ll put the big G. Let’s put the big G out there. So, this is Mr. Google and what happens with Google is that they’ve got a whole bunch of robots or robotic equipment in all of their technology and they go out and crawl the internet, the terminology is called search spiders, but let’s call it something that we as Small Business Owners understand and let’s call it the “Google Radar” and this will help it to make sense on how this whole “Internet Thing” works. So, the Google radar goes out and you just built this website and it hits your website and it goes, “Ping, oh, there’s a new player on the field,” so it registers or indexes your business in Google’s “filing system,” and not only does it register just the homepage, it registers every page that you have on your website and it also registers Facebook, all your social media, everything else that’s out there in cyberspace that is related or associated with your online presence. So it registers those, if you’ve got a Facebook page, yup, “I got one of those, I got a YouTube account, I got a LinkedIn account, I’ve got a Pinterest account, I’ve got an Instagram account, I’ve got those. I’ve got a 10-page website,” so the Google Radar Robots as I call them has registered those in the Google system and now you’re officially online according to the big G, Google has officially indexed your online presence. The goal is to get your business to rank on the front page of Google and there’s a couple of different ways that you can do this. and then underneath that is the Google search result or what they call “Organic Search Results” and the name suggesting organic means is it naturally grows, and the secret is you it want to grow to become the number one player on the front page of Google. Google ads are fine, the ads will work instantly, you only pay per click, so if someone clicked on the ad, that means that you pay for it then, but if your ads not there, you will have zero results, or once your daily ad spend budget is used, you’re not going to be on the front page. “Impressions” is the amount of people that typed in your keyword and your website came up in the search results, that’s an impression. Industry standards indicate that the percentage of times that your ad is clicked on and it is usually about 1% to 3% of page impressions, So, it’s not that effective in that sense, the upside is you don’t actually pay for the ad unless they click on it. But when they do click on it, the results are usually about a 1% to 3% return. It’s not my preferred option. My preferred option is that you are ranking on the front page of Google organically and you can be there organically if you do it properly and do it according to the Google guidelines, et cetera. We work on ranking our clients on the front page of Google organically and the potato cake manufacturer that I was talking about earlier, we’ve achieved some 680 search terms that come up on the front page across Australia. In fact, in some regions of Australia we achieved the first four spots on the front page of Google when you typed it in relevant search terms, they’re like listing one, two, three and some of those are YouTube videos as well as the website pages or different things that we’re doing. means that there’s people out there that spam the system and it’s got short-term spectacular results but long-term if you get caught by Google, you are dead in the water, they will blacklist you and you will go from the top of Google to way down the bottom never to be seen again. 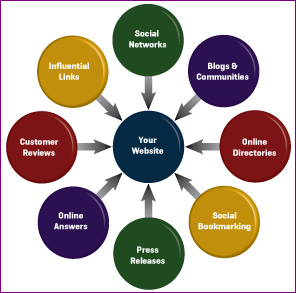 So, you need to have what’s termed as white hat, SEO or search engine optimization. I don’t want to get into techie speak, basically Search Engine Optimization means that you optimize your website or I should say your online presence so that the “search engines” like Google are provided with the information that matches what their clients are looking for, your buyers are there clients and they want good quality content relevant to the search terms that their readers are using. And Google with all their robots, mathematical machines, algorithms, all the techie stuff they are using is monitoring all online user activity, so, you’ve got to work within their system and guidelines and provide great user content. I hope that’s making sense. 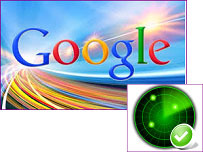 Okay, back to the Google Radar or Search Engine Optimization, whatever you want to call it, let’s call it the Google radar because that’s the term we all understand. If you’ve got a Facebook page here and you have lots of activity and you’re regularly posting articles up on your Facebook page, the Google Radar registers all the new online activity and re indexes your online activity and begins to place a priority on your online presence in comparison to your competitors in cyberspace. If you have a YouTube channel and as part of our services we build a YouTube channel and Facebook for all of our clients, and you add a video just like the one that you’re watching now, the Google radar picks that up and registers it and indexes it. 8 to 10 days later comes around and the Google Radar sees there’s another video added and Google users are watching, it records the new activity. Now, another must have on your website, is having a blog and a blog is just basically articles being written and posted online, Let’s call them press releases, articles we read in the newspaper, that’s a word that we understand. So, you write a press release, the Google radar registers it. 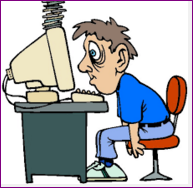 Then next week you write another articles and you only have to write articles of about 500 words and post them on your website. Every time you do that, the Google radar starts to index and register them. Now, this is where it gets technical as well. We’ll come back a step, you want to have a LinkedIn page, we recommend that a business owner should have a LinkedIn page. So, if you got a LinkedIn page and you’re posting information and got connections there, that also indexes itself with Google’s radar. 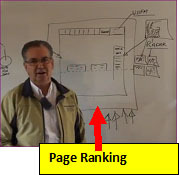 Now, while you’re posting all this information, what’s taking place is your website is going up in the ranking. Now, I’m oversimplifying this in here but I basically want to give you the fundamentals to understand because there’s so much confusion out there and people don’t really understand the fundamentals of what’s happening. 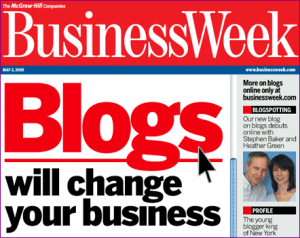 By you placing a priority and taking on all of these things, writing articles in here and adding fresh content to your website as well, but blogs are a great way to do it and we also use what’s termed as a WordPress website. “Search Engine Optimization,” one of the ways you can rank your website is by what’s termed as back links and we spend on average 50 hours a week just building back links and linking our customer’s website and online presence to other websites. I wanted to give you an overview of what’s happening with the internet. I trust that this has really, really helped you. and it sounds like a whole lot of hard work. We’re creating a DIY training series and a Mastermind Coaching program over the next few weeks. Keep an eye on your email. Connect with us on our social media because we’ll be posting it up there when it’s available. The coaching program will be limited numbers and the DIY Training Program that goes with it will be available without the Mastermind Coaching Program. If this video series has helped you, please share it with your friends. I know there’s tons and tons of Small Business Owners out there really struggling with this whole internet thing and they got great businesses but with their marketing, they’re still using old techniques, old ways of doing it and are really struggling on how to get their head around the whole internet marketing. So, share it with others. If you got any questions or comments, post them here or post them on my social media sites. Love to hear from you, give us some feedback, anything that you would like us to talk about in this new up and coming Business Coaching series, just stick it in there and we’ll get back to you and we’ll make sure we address it. Thanks very much for your time.